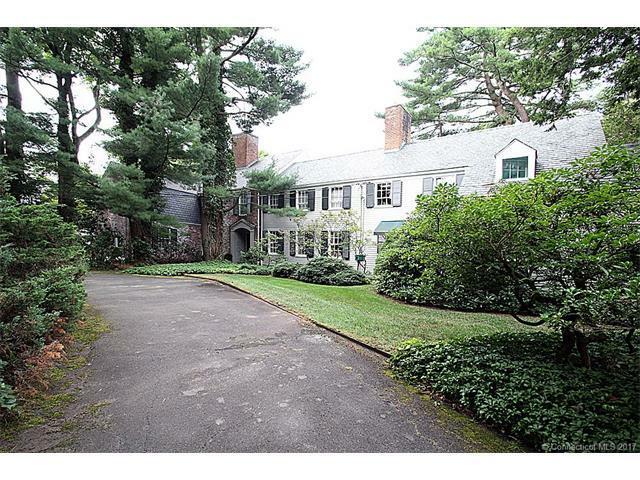 Outer Ridge Road on a private 3 plus acre lot sits this gracious 1930's brick/clapboard, slate roof Colonial with a feeling of a European estate. 28 foot entrance foyer leads to the beautifully appointed formal LR and DR. Spacious eat in kitchen with adjacent family room and beautiful barrel ceiling library with fireplace with french doors to screen porch. Secluded first floor bedroom with private bath. Two room master bedroom suite with fireplace and dressing room. Lower level rec room with fireplace. Inground gunite pool. Additional land available. Call for details.